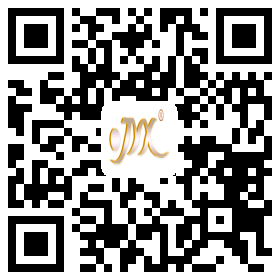 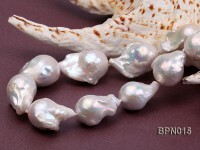 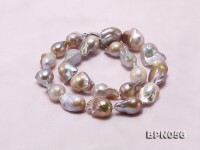 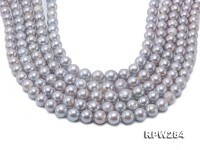 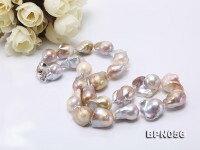 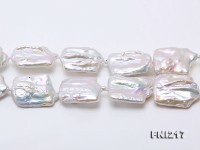 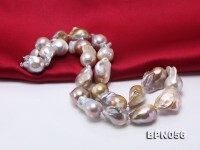 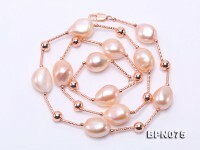 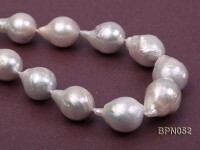 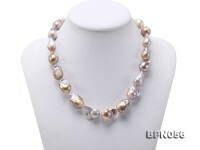 12×16.5-13.5×25mm lavender baroque Edison pearl necklace for sale. The pearl necklace is crafted with irregularly-shaped nucleated Edison pearls and every piece of baroque pearl is carefully strung with a handmade knot in between every two pearls to ensure lasting beauty and security to wear. 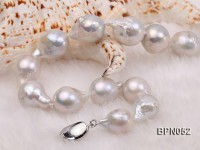 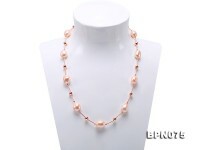 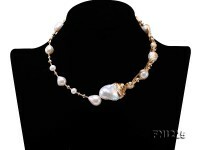 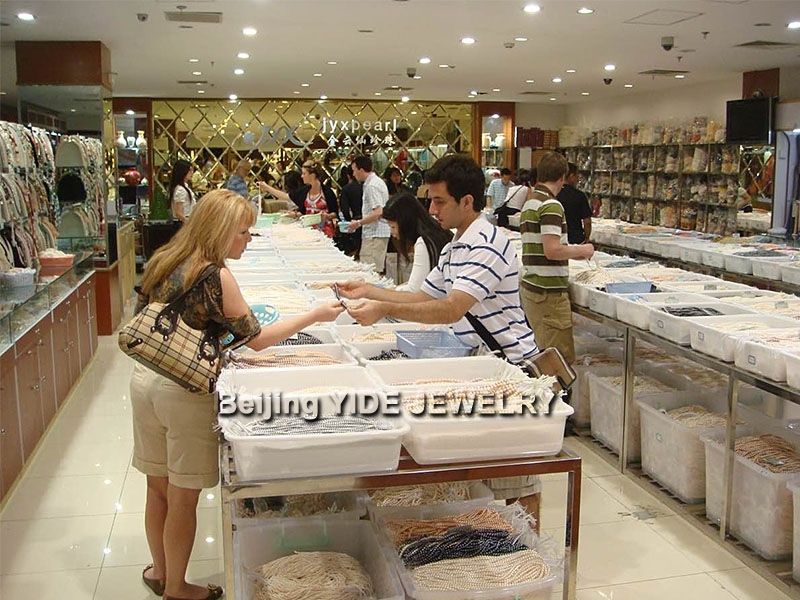 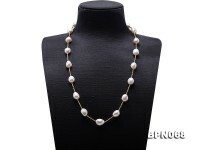 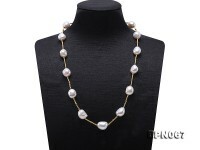 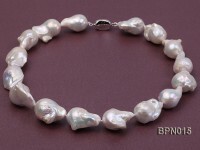 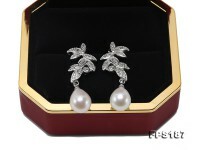 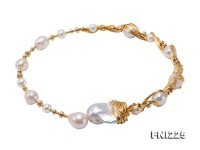 The pearl necklace measures 18.5 inches and is closed by a solid silver-plated clasp. 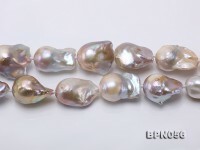 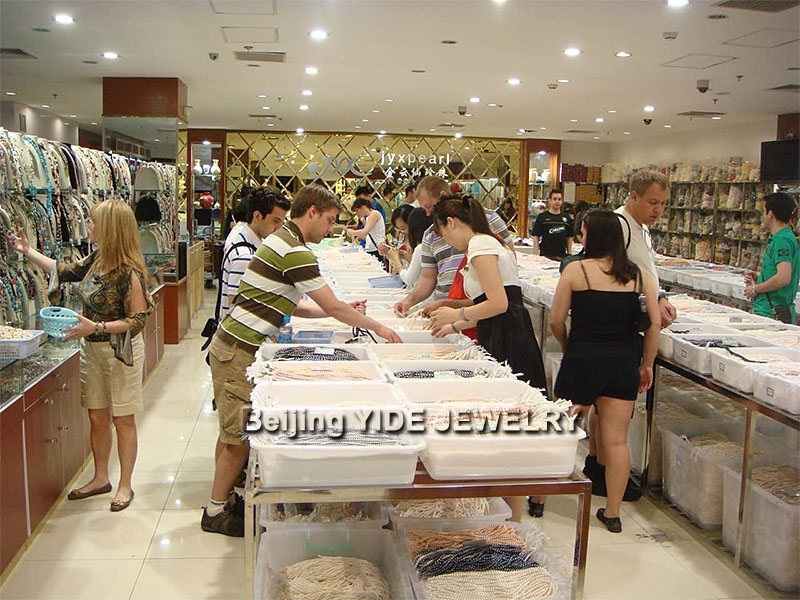 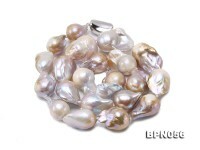 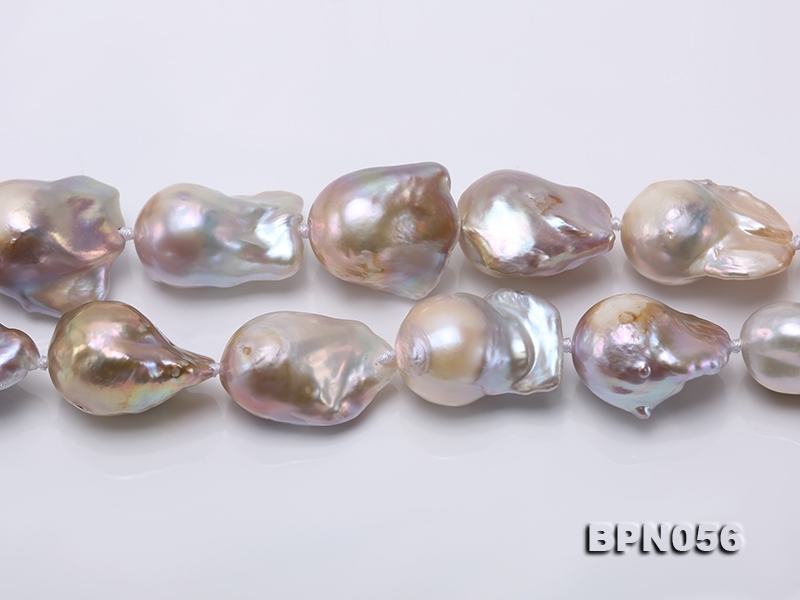 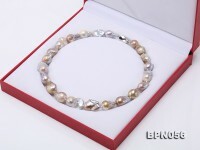 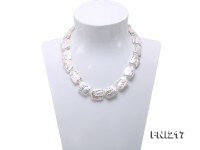 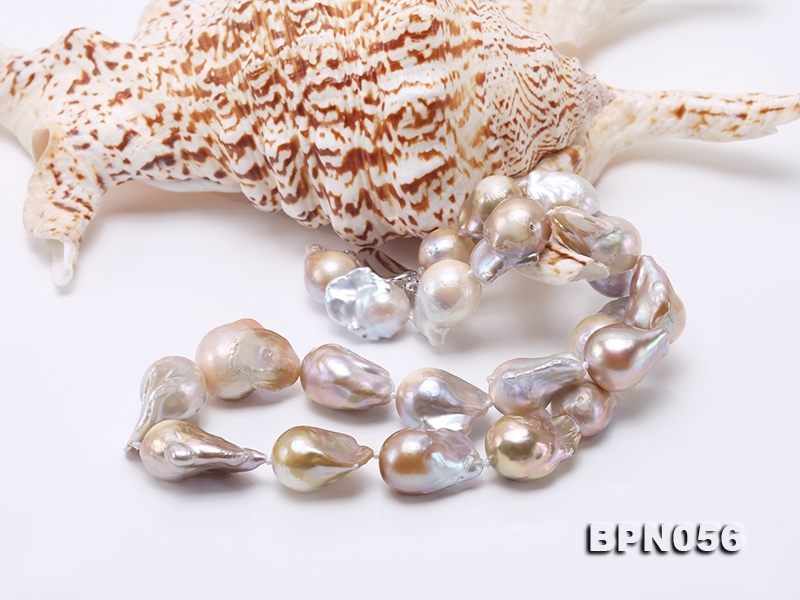 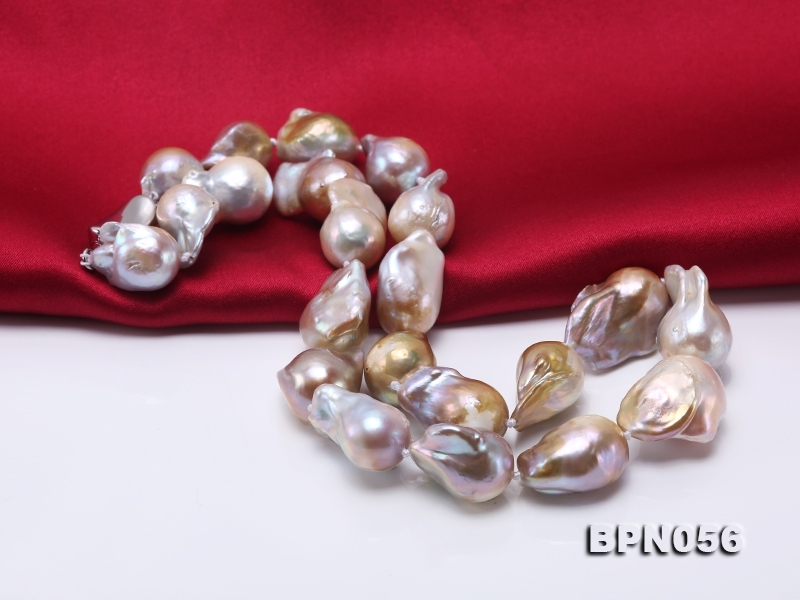 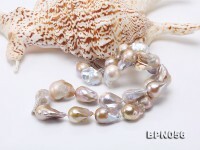 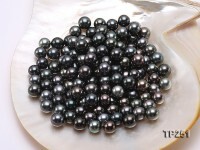 Every necklace may differ from one another as each piece of baroque pearl is unique, so there might be slight difference when you get this pearl necklace in pearl shape and size.